Broccoli. 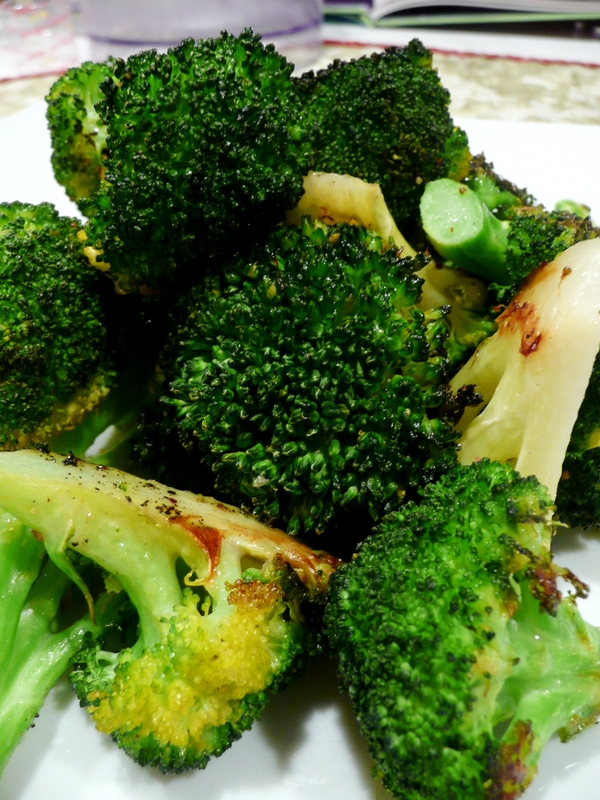 The dreaded vegetable that often gets fed to the dog…but not at my house! Instead of serving that mushy-over-steamed mess that most families try to force feed to their kids…why don’t you try roasting it? Roasting brings out the vegetable’s vibrancy…it becomes seems nutty and warm. Just sprinkle it with a bit of salt, and you’re good to go for a quick weekday side dish! 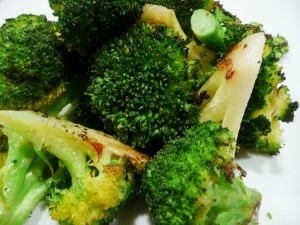 While the oven heats, wash and cut the broccoli into spears. Place onto a baking sheet. 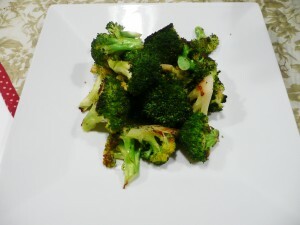 Drizzle the broccoli with the oil and sprinkle with seasonings (I prefer a light dusting). Bake in the oven for 15-20 minutes, shaking the pan/stirring the vegetables mid way (the cooking time will increase for frozen broccoli…add an additional 5-10 minutes if frozen).